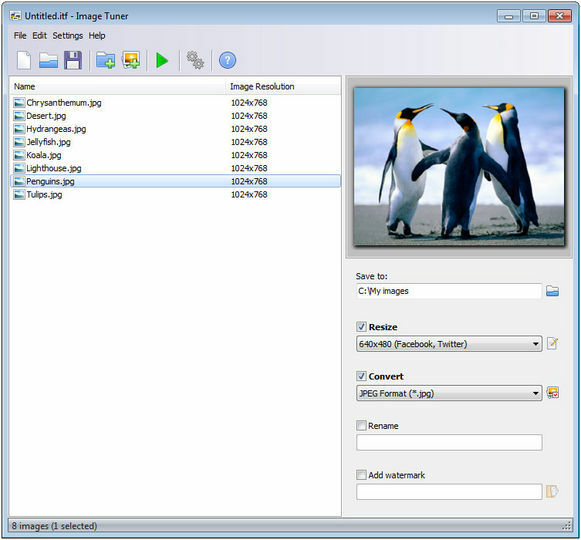 Image Tuner is a free software for batch resizing, converting, watermarking and renaming your digital photos and images from more than 20 image formats to JPEG, BMP, PNG, TIFF and GIF formats. The program will help you to prepare your digital photos to upload and publish them in the Internet or send via e-mail. 100% Freeware. No spyware, adware, banners etc. Built-in size templates: iPod, iPhone, Facebook, Twitter, DVD etc.